The Buffs (Royal East Kent Regiment), formerly the 3rd Regiment of Foot, was a line infantry regiment of the British Army traditionally raised in the English county of Kent and garrisoned at Canterbury. It had a history dating back to 1572 and was one of the oldest regiments in the British Army, being third in order of precedence (ranked as the 3rd Regiment of the line). The regiment provided distinguished service over a period of almost four hundred years accumulating one hundred and sixteen battle honours. In 1881, under the Childers Reforms, it was known as the Buffs (East Kent Regiment) and later, on 3 June 1935, was renamed the Buffs (Royal East Kent Regiment). Latin: "Its Ancient Honour Flourishes"; "Its Ancient Honour is Ever-Green"
Colonel Sir George Howard (1749–1763). In 1961, it was amalgamated with the Queen's Own Royal West Kent Regiment to form the Queen's Own Buffs, The Royal Kent Regiment, which was later merged, on 31 December 1966, with the Queen's Royal Surrey Regiment, the Royal Sussex Regiment and the Middlesex Regiment (Duke of Cambridge's Own) to form the Queen's Regiment. This regiment was, in turn, amalgamated with the Royal Hampshire Regiment, in September 1992, to create the Princess of Wales's Royal Regiment (Queen's and Royal Hampshires). The origins of the regiment lay in Thomas Morgan's Company of Foot, The London Trained Bands, which was in existence from 1572 to 1648. It fought in the Low Countries during the Dutch Revolt and in the Anglo Spanish War, taking part in many sieges and battles in that time. In 1665, when the Second Anglo-Dutch War started, the British and Scotch Brigades of the Dutch army were ordered to swear loyalty to the Stadtholder. Those who disobeyed were cashiered. Using his own funds, Sir George Downing, the English ambassador to the Netherlands, raised the Holland Regiment from the starving remnants of those who refused to sign. In 1665, it was known as the 4th (The Holland Maritime) Regiment and by 1668 as the 4th (The Holland) Regiment. In 1688, it became the "4th The Lord High Admiral's Regiment" and in 1689 it became the 3rd (Prince George of Denmark's) Regiment of Foot. The regiment embarked for the Netherlands in spring 1703 for service in the War of the Spanish Succession seeing action at the Battle of Blenheim in August 1704, the Battle of Ramillies in May 1706 and the Battle of Oudenarde in July 1708. "The Buffs", a title first used in 1708, arises from the need to distinguish the regiment, commanded by Lieutenant-General Thomas Howard, from the 19th Regiment of Foot, at that time commanded by the Honourable Sir Charles Howard. The regiment wore coats with buff facings, whereas the 19th Regiment used coats faced in green and so became the Green Howards. The nickname, "The Old Buffs", arises from the need to distinguish the regiment from "The Young Buffs", a nickname for the 31st Regiment of Foot. The regiment also fought at the Battle of Malplaquet in September 1709 before returning to England in August 1714. The regiment was sent to Ostend in August 1742 for service in the War of the Austrian Succession and fought at the Battle of Dettingen in June 1743 and at the Battle of Fontenoy in May 1745. The regiment was named, as other regiments, after the Colonel Commanding until 1744, at which point it became the 3rd Regiment of Foot, known commonly as "Howard's Buffs". 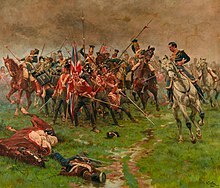 After returning home, the regiment was sent to Scotland to help suppress the Jacobite rising of 1745 and saw action at the Battle of Falkirk Muir in January 1746 and at the Battle of Culloden in April 1746. It returned to the Netherlands in April 1747 and saw action at the Battle of Lauffeld in July 1747. It became the 3rd (Kent) Regiment of Foot, "The Buffs" in 1751. The regiment embarked for the West Indies in autumn 1758 for service in the Seven Years' War and took part in the attack on Martinique in January 1759 and on Guadeloupe later in the month. After returning home, it took part in the capture of Belle Île in June 1761. It then moved to Portugal and fought at the Battle of Valencia de Alcántara in August 1762 before returning to England in spring 1771. The regiment was sent to the West Indies in December 1795 for service in the French Revolutionary Wars. It took part in the capture of Grenada in March 1796 and of Saint Vincent in June 1796 and the capture of Trinidad in February 1797 and of various other islands in March 1801 before returning home in autumn 1802. The regiment embarked for Portugal in August 1808 for service in the Peninsular War. The grenadier company of the regiment served under Sir John Moore at the Battle of Corunna in January 1809 before being evacuated to England later that month. The rest of the regiment remained on the Peninsula and fought at the Battle of Talavera in July 1809 and the Battle of Bussaco in September 1810 before falling back to the Lines of Torres Vedras. It then saw action at Battle of Albuera in May 1811 and the Battle of Vitoria in June 1813. It then pursued the French Army into France and fought at the Battle of the Pyrenees in July 1813, the Battle of Nivelle in November 1813 and the Battle of the Nive in December 1813 as well as the Battle of Orthez in February 1814 and the Battle of Toulouse in April 1814. It became part of the Army of Occupation of France in 1816 before returning home in autumn 1818. The regiment had a tour of service from 1821 until 1827 in the British colony of New South Wales. For the duration of their service, The Buffs was divided into four detachments. The first was based in Sydney from 1821. The second arrived in Hobart in 1822. The third, entitled "The Buffs' Headquarters", arrived in Sydney in 1823. The fourth, arrived in Sydney in 1824, but variously saw service throughout the colonies, being stationed at Port Dalrymple, Parramatta, Liverpool, Newcastle, Port Macquarie and Bathurst. The regiment reunited and was transferred to Calcutta in 1827. During their service in New South Wales, The Buffs was commanded by Lieutenant Colonel W. Stewart and Lieutenant Colonel C. Cameron. The regiment also saw action at the siege of Sevastopol in winter 1854 during the Crimean War. In 1858, the 2nd Battalion was stationed in Malta. Lieutenant John Cotter, Adjutant of the 2nd Buffs, would shout "Steady, The Buffs! ", a shout which has entered common parlance. The 1st Battalion saw action in the Taku Forts action during the Second Opium War as well as in the Perak War while the 2nd Battalion saw action in the Anglo-Zulu War. The regiment was not fundamentally affected by the Cardwell Reforms of the 1870s, which gave it a depot at Canterbury Barracks from 1873, or by the Childers reforms of 1881 – as it already possessed two battalions, there was no need for it to amalgamate with another regiment. Under the reforms the regiment became the Buffs (East Kent Regiment) on 1 July 1881. The East Kent Militia became the regiment's 3rd (Militia) Battalion (1881–1953) and its short-lived 4th (Militia) Battalion (1881–1888). At the same time two Kent rifle volunteer corps were redesignated as the 1st Volunteer Battalion and 2nd (The Weald of Kent) Volunteer Battalion of the Buffs. The 1st Battalion saw action in the Anglo-Egyptian War, was from 1885 stationed at Malta, then moved to India where it saw several postings, including in Shwebo in inland Burma until late 1902 when it moved to Poona. The 2nd Battalion, 3rd Battalion, 1st Volunteer (Militia) Battalion and 2nd Volunteer (Weald of Kent) Battalion all saw action during the Second Boer War with Captain Naunton Henry Vertue of the 2nd Battalion serving as brigade major to the 11th Infantry Brigade under Major General Edward Woodgate at the Battle of Spion Kop where he was mortally wounded in January 1900. Following the end of the war in South Africa in June 1902, 540 officers and men of the 2nd battalion returned to the United Kingdom on the SS St. Andrew leaving Cape Town in early October, and the battalion was subsequently stationed at Dover. For service in the First World War, ten additional battalions were raised. The 1st Battalion was based in Fermoy as part of the 16th Brigade in the 6th Division until 12 August 1914 when it moved to Cambridge before landing in France on 8 September 1914. The 2nd Battalion returned from Madras in December 1914 and remained in England as part of the 85th Brigade in the 28th Division; meanwhile the 3rd Battalion remained in Canterbury as a training unit. The 1/4th Battalion sailed for India in October 1914 while the 1/5th (Weald of Kent) Battalion sailed for India in October 1914 and then transferred to Mesopotamia in November 1915. The 2/4th Battalion, the 2/5th (Weald of Kent) Battalion, the 3/4th Battalion and the 3/5th (Weald of Kent) Battalion all remained in England throughout the war while the 10th (Royal East Kent and West Kent Yeomanry) Battalion was formed in Egypt in February 1917 and then transferred to France as part of the 230th Brigade in the 74th Division. The 6th (Service) Battalion, 7th (Service) Battalion, 8th (Service) Battalion and 9th (Reserve) Battalion were all formed for active service in France. Corporal William Richard Cotter was awarded the VC whilst serving with the 6th (Service) Battalion. After the end of the First World War, a small number of men from several battalions saw action during the Third Anglo-Afghan War in 1919. The 1st Battalion served in many different brigades and divisions, mainly with British Indian Army units, and fought in many different battles and campaigns such as the North African Campaign, the Italian Campaign and the Battle of Anzio when they were a part of 18th Infantry Brigade, assigned to the 1st Infantry Division where they were involved in some of the fiercest fighting of the war. The 18th Brigade returned to the 1st Armoured Division in August 1944 but, on 1 January 1945, the division was disbanded and 18th Brigade was broken up and used as replacements for other units. The 1st Buffs spent the rest of the war with the 24th Guards Brigade attached to the 56th (London) Infantry Division. With the 56th Division, the battalion fought in Operation Grapeshot, the final offensive in Italy which effectively ended the campaign in Italy. The 2nd Battalion was sent to France in 1940 with the 132nd Infantry Brigade attached to the 44th (Home Counties) Infantry Division to join the British Expeditionary Force and fought in the short but fierce Battle of Dunkirk, after which it was evacuated back to Britain. The 44th Division was sent to fight in the North African Campaign, where it was broken up due to an apparently poor performance in the Battle of Alam el Halfa despite the division having just the 132nd Brigade under command as other brigades had been detached to other divisions. The 132nd Brigade disbanded and 2nd Buffs was then transferred to the Far East with the 26th Indian Infantry Brigade and remained there for the war. In 1944, the brigade was redesignated the 26th British Infantry Brigade, which itself became part of the 36th British Infantry Division and served with the British Fourteenth Army in the Burma Campaign. The 4th Battalion Buffs was a 1st Line Territorial Army unit that served with the BEF in France 1940. The battalion was transferred to the island of Malta in 1941 and served throughout the siege. The battalion then joined the 234th Infantry Brigade, which took part in the disastrous Battle of Leros in an attempt to capture the Dodecanese Islands in late 1943. The brigade and other Allied forces, mainly Italian, attempted to hold the island from the Germans, but without success. This was due mainly to German air superiority as the Allies had very few planes to cover them. The 234th Brigade Commander, Robert Tilney, ordered the surrender after many days of resistance and hard fighting. The 5th Battalion was reformed in 1939 as a 2nd Line duplicate of the 4th Battalion when the Territorial Army was doubled in size. Initially, the 5th Buffs was assigned to the 37th Infantry Brigade, part of the 12th (Eastern) Infantry Division, which was a 2nd Line duplicate of the 44th (Home Counties) Division. However, on 26 October 1939, it was transferred to the Division's 36th Infantry Brigade in exchange for the 2/6th East Surreys. The 5th Buffs, along with the 6th and 7th Royal West Kents, remained in the 36th Brigade for the rest of the war. Like the 2nd and 4th Battalions, it served with the BEF in France in 1940 and fought in the Battle of France and was evacuated at Dunkirk. The 12th Division suffered heavy casualties due mainly to most of the men having little training and the division having no artillery or support units. After returning to England, the division was disbanded in July 1940, due to the casualties it had sustained. In 1942, the 36th Brigade was assigned to the newly raised 78th Division and took part in Operation Torch, the Allied landings in North Africa, followed by the campaign in Tunisia, where the 78th Division, as part of the British First Army, distinguished itself during the crucial capture of Longstop Hill. The division then fought in the Sicilian Campaign, as part of the British Eighth Army. The 5th Buffs and the rest of 78th Division then took part in the fighting in Italy and served there until the 1945 Offensive. The Buffs also raised many more battalions during the war, mainly for home defence or as training units. None, save the 7th Battalion, saw active service overseas. The 7th Battalion was raised in 1940 and was converted to the 141st Regiment Royal Armoured Corps in 1941 due to the shortage of armoured troops in the British Army. When the Territorial Army was reformed in 1947 the 4th and 5th Buffs were merged into a single battalion. In 1956 410 (Kent) Coast Regiment, Royal Artillery, was converted to the infantry role and became 5th Buffs. In 1961, the regiment was amalgamated with the Queen's Own Royal West Kent Regiment to form the Queen's Own Buffs, The Royal Kent Regiment, which was later merged, on 31 December 1966, with the Queen's Royal Surrey Regiment, the Royal Sussex Regiment and the Middlesex Regiment (Duke of Cambridge's Own) to form the Queen's Regiment. This, in turn, was amalgamated with the Royal Hampshire Regiment, in September 1992, to create the Princess of Wales's Royal Regiment (Queen's and Royal Hampshires). The Buffs (Royal East Kent Regiment) still has some exhibits at Beany House, although most of the collection was subsumed into the National Army Museum in 2000. During the Battle of Albuhera, Ensign Thomas, who was surrounded and was called upon to surrender, shouted "only with my life": he only gave up the Colour after being cut down and mortally wounded. Also during the Battle of Albuhera, Lieutenant Latham seized the Colour and defended it with heroic gallantry, refusing to yield it to the enemy, instead concealing it in his jacket, where it was later found: the action is commemorated by the "Latham Centerpiece", now in the Regimental museum. During the Battle of Taku Forts, Private John Moyse was captured: he was later executed by Chinese soldiers for refusing to kow-tow to a local mandarin. His act of defiance was later immortalised in The Private of the Buffs, a poem by Sir Francis Hastings Doyle. Among the small garrison of 1879 Rorke's Drift (Zulu Land) was Sgt Frederick Milne (2260) 2nd Battalion, The Buffs. Said to have found and retrieved the watercart during the night. He survived the battle and soon left the service. Colonel Richard S. Hawks Moody CB. Moody was a distinguished officer, and later a historian, of the Regiment. Moody was second in command of the Regiment when it was sent to relieve the Siege of Malakand in 1897, for which he was mentioned in dispatches, and during which he fought alongside Winston S. Churchill, who mentions him in Chapter XII (At Inayat Kila) of his history of the conflict, The Story of the Malakand Field Force. Moody served with the Regiment in the Chitral Expedition, in which he was part of General William Forbes Gatacre's flying column. He subsequently became a Military Knight of Windsor, and, during his occupation of this office, and at the request of the Regiment, he wrote The Historical Records of The Buffs (East Kent Regiment), 3rd Regiment of Foot, 1914–1919, which was published in 1923. He gave the first copy of the book to the Royal Library, Windsor, in 1922. The war artist Ernest Stafford Carlos was commissioned into the 8th Battalion in 1916, arriving in the Artois sector of the Western Front early in 1917. His sketches, cartoons and paintings record life in and behind the lines at that time. He was killed in action during the Battle of Messines on 14 or 15 June 1917 while his unit was assaulting a German held spoil heap near Zillebeke in Flanders, a feature that became known as "Buff's Bank". He is buried close to the battlefield at Chester Farm Commonwealth War Graves Commission Cemetery. Among the soldiers in the 10th Battalion, one soldier showed bravery in the Battle of Épehy on 18 September 1918. This was Private Percy James Fellows, a Lewis gunner who was mortally wounded while facing the enemy. He was serving with the 230th Brigade of the 74th (Yeomanry) Division. He died of wounds suffered during the Final Advance in Artois on 13 October 1918. Bernard George Ellis was awarded the Albert Medal in 1918. This was transferred to a George Cross in 1971. Captain William Douglas-Home, who served in the 7th battalion in the Second World War, refused to obey orders, because he feared that thousands of French civilians would be killed, and was duly imprisoned for this: after the war he became a successful playwright. The regiment was awarded the Freedom of the City of London, giving them the right to march through the City. The honours in bold were worn on the Colours. In 1667 the Holland Regiment is recorded as wearing "red jackets lined with yellow". Subsequently, Nathan Brook's Army List of 1684 referred to "Coated red, lined with a flesh colour". This marked the beginning of the historic association of the regiment with buff facings (a dull-yellow colour). A notice in the London Gazette of 21 January 1685 describing the clothing of three deserters from what was still the Holland Regiment, referred for the first time to the colour buff:"a new Red Coat lin'd with a Buff colour'd lining, surtout Sleeves, cross Pockets with three scallops, large plain pewter Buttons, Breeches of ths same colour as the Coat lining". An illustration of the Colonel's colour in 1707 shows a dragon on a buff background, following the award of this distinctive symbol to the regiment as "a reward for its gallant conduct on all occasions"; according to the Army historian Richard Cannon in a book published in 1839. The dragon was believed to have been adopted as it was one of the supporters of the royal arms of Elizabeth I, who issued the warrant for the raising of the regiment in 1572. Through the remainder of the 18th century both the dragon and the buff facings (worn on cuffs, lapels and coat linings) remained as particular distinctions of the regiment. A Royal Warrant of 1751 standardising all colours (flags), badges and uniforms listed the "3rd Regiment, or The Buffs". The Buffs were at this time the only infantry regiment to owe their official title to their facing colours. The green dragon was recorded in the same document as the "ancient badge" of the Buffs – displayed as a woven or painted device on the mitre cap of the Regiment's grenadiers, the colours and the drums. In 1881, the reorganisation of most infantry regiments on a territorial basis under the Childers Reforms led to the newly renamed "The Buffs (East Kent Regiment)" losing its buff facings in favour of the white collars and cuffs intended to distinguish all non-Royal English and Welsh regiments. The dragon survived as part of the (now metal) headdress badge, although replaced on collars by the white horse of Kent. The horse had formed the insignia of the East Kent Militia with formed the 3rd battalion of the new regiment. Both changes were unpopular within the regiment, and in 1887 the Buffs were authorised to convert the white facings on their scarlet tunics to buff – at the Regiment's expense and using a pipeclay mixture developed by an officer of the 2nd Battalion. In 1890 buff was officially restored as the regimental colour on flags, tunics and mess jackets. On 23 May 1894 approval was given for the dragon to be resumed as the collar badge. 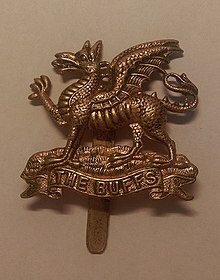 For the remainder of its existence as a separate entity, both dragon badge and buff facings remained as primary distinctions of the regiment. This was the case even on the simplified dark blue "No. 1 Dress" worn by most of the British Army as full dress after World War II, although the buff colour was here reduced to piping edging the shoulder straps. ^ a b c d e f g h i j k l m n "The Buffs (East Kent Regiment)" (PDF). Kent Fallen. Retrieved 30 December 2015. ^ Sargent, Clem (1995). "The Buffs in Australia—1822 to 1827". Sabretache. Military Historical Society of Australia. 36 (1): 3–15. ISSN 0048-8933. ^ a b "Medals of the Buffs". Retrieved 2011-03-03. ^ "The Battle of Gingindlovu". Retrieved 2008-11-01. ^ "Canterbury Boer War Memorial Transcription" (PDF). Retrieved 2008-11-01. ^ "Roll of Honour". Clifton College. Retrieved 30 December 2015. ^ "The Army in South Africa - Troops returning Home". The Times (36893). London. 8 October 1902. p. 8. ^ a b "Buffs (Royal East Kent Regiment)". Regiments.org. Archived from the original on 28 October 2005. Retrieved 30 December 2015. ^ a b c d e "Buffs (East Kent Regiment)". The Long, Long Trail. Retrieved 30 December 2015. ^ "No. 29527". The London Gazette (Supplement). 28 March 1916. p. 3410. ^ "56th (London) Infantry Division" (PDF). British Military History. Archived from the original (PDF) on 31 March 2012. Retrieved 30 December 2015. ^ "British 36th Division". Burma Star Association. Retrieved 30 December 2015. ^ Gander, Leonard Marsland (1945). "Long Road to Leros" (PDF). Macdonald & Co. p. 174. Retrieved 30 December 2015. ^ "Orders of battle". Retrieved 15 February 2017. ^ "The Road To Rome: Italian Campaign 1943-1944". Flames of War. Retrieved 30 December 2015. ^ 1st KAVC at Regiments.org. ^ 372–413 RA Rgts at British Army 1945 on. ^ Buffs at British Army 1945 on. ^ Norman E.H. Litchfield, The Territorial Artillery 1908–1988 (Their Lineage, Uniforms and Badges), Nottingham: Sherwood Press, 1992, ISBN 0-9508205-2-0, p. 110. ^ "History of the Regiment". Ministry of Defence. Retrieved 30 December 2015. ^ "Canterbury City Council Online". Unique national museum link for Canterbury. CCC. 4 September 2000. Archived from the original on 23 August 2011. Retrieved 20 February 2010. ^ "Army Museum; Ogilby Trust". Buffs, Royal East Kent Regiment Museum Collection. 2010. Archived from the original on 9 October 2009. Retrieved 7 February 2010. ^ "No. 28307". The London Gazette. 12 November 1909. p. 8351. ^ "Sir Francis Doyle: Moyse, the Private of the Buffs". The Heretical Press. Retrieved 30 December 2015. 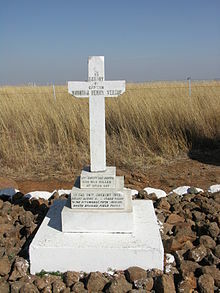 ^ "Sergeant Frederick Milne (Rorkes Drift)". The British Empire. Retrieved 30 December 2015. ^ a b c "Entry for MOODY, Colonel Richard Stanley Hawks, in Who Was Who (A & C Black, Bloomsbury Publishing plc, 1920–2016)". ^ Churchill, Winston L. Spencer (1898). The Story of the Malakand Field Force: an episode of frontier war, CHAPTER XII: AT INAYAT KILA. London, UK: Longmans, Green. ^ "Obituary of Colonel Richard S. H. Moody, Windsor Paper, 13 March 1930". ^ "Bibliography for Introduction to Military History (Part1)". University of Kent. Retrieved 6 May 2016. ^ "The Historical Records of The Buffs (East Kent Regiment), 3rd Regiment of Foot, 1914–1919, Naval and Military Press". ^ "Royal Collection Trust: R. S. H. Moody, Historical Records of The Buffs, East Kent Regiment (3rd Foot) […]". ^ "Private Percy James Fellows". Wartime Memories. Retrieved 30 December 2015. ^ "Bernard George Ellis". The Comprehensive Guide to the Victoria & George Cross. Retrieved 10 September 2017. ^ "Obituary: William Douglas-Home". The Independent. 29 September 1992. Retrieved 30 December 2015. ^ "No. 2106". The London Gazette. 21 January 1685. p. 2. ^ a b c Edwards, T J (1953). Standards, Guidons and Colours of the Commonwealth Forces. Aldershot: Gale & Polden. pp. 192, 195, 204. ^ G.O. 41/1881 1 May 1881 amended by G.O.70/1881 1 July 1881. "X. The facings, and the Officers lace will be the same for all regiments belonging to the same Country (Royal and Rifle Regiments excepted), and will as follows: English Regiments: Facings – White, Pattern of Lace – Rose"
^ Kipling, Arthur L; King, Hugh L (2006). Head-Dress Badges of the British Army: Volume One – Up to The end of the Great War. Uckfield: Naval & Military Press. p. 140. ISBN 1-84342-512-2. ^ Blaxland, Gregory (1972). The Buffs. Oxford: Osprey. p. 21. ISBN 978-0-85045-064-4. ^ "Naval and Military Intelligence". The Times. 13 September 1890. p. 7. The regimental colours will in future be buff instead of white; and the Commander-in-Chief has directed that the facings of the regiment be described in the Queen's Regulations and the Army List as buff. ^ Churchill, Colin (2002). History of the British Army Infantry Collar Badge. Uckfield: Naval & Military Press. pp. 26–28. ISBN 978-1-897632-69-7. Cannon, Richard (1839). Historical Records of the Third Regiment of Foot or the Buffs formerly designated the Holland Regiment containing an account of its original in the reign of Queen Elizabeth and of its subsequent services to 1838. Longman, Orme & Company and William Clowes & Sons. Joslen, Lt-Col H.F. (2003). Orders of Battle, United Kingdom and Colonial Formations and Units in the Second World War, 1939–1945. Uckfield: Naval & Military. ISBN 1843424746. Knight, Captain H. R. (1935). Historical records of The Buffs, East Kent Regiment, 3rd Foot, formerly designated the Holland Regiment and Prince George of Denmark's Regiment 1572-1704. 1. Gale & Pollen. Moody, Richard (1923). The Historical Records of The Buffs (East Kent Regiment), 3rd Foot, 1914-1919. Perrett, Bryan (1998). At All Costs: Stories of Impossible Victories. Cassell Military Classics. ISBN 978-0304350544. Wikimedia Commons has media related to The Buffs (Royal East Kent Regiment).